Desi brings organisation to the salon, having worked in various service industries in managerial roles. 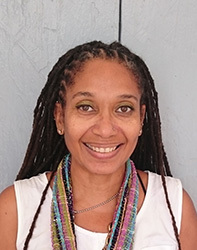 She has an interest in all types of holistic treatment, and has completed a course in reflexology with CEA, Spain. Nordia has a great deal of experience in the hospitality industry. 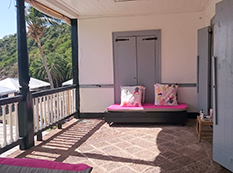 She's previously worked as a massage therapist at the Mill Reef Club and Jumby Bay, both here in Antigua. 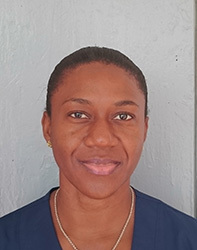 Agatha has 21 years of experience as a beautician, having been originally trained by Akparo's founder, Patricia, at St. James' Club. We are very happy that she's come back to work with us at Akparo. Chelsea worked for 10 years at Headmasters in the London. She is a L'Oreal colour expert, and is working with us for a fourth season this year. 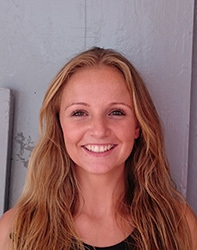 With over ten years experience in the hairdressing industry, Layla has worked in London, Ibiza, Palma and Antigua. She was an educator and Art Team member for Headmasters in the UK, teaching apprentices and advanced stylists at their academy. She is a L'Oreal Texture Expert, and has completed Hairdressing NVQ Levels 2 & 3. 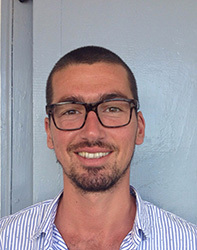 Somi gained his BSc(Hons) from the European School of Osteopathy in the UK, and has practiced in the UK, the south of France and for several years now in Antigua. He also loves to fish, and takes every opportunity to be under water. If you have any issues with this site, you can contact the webmaster here.